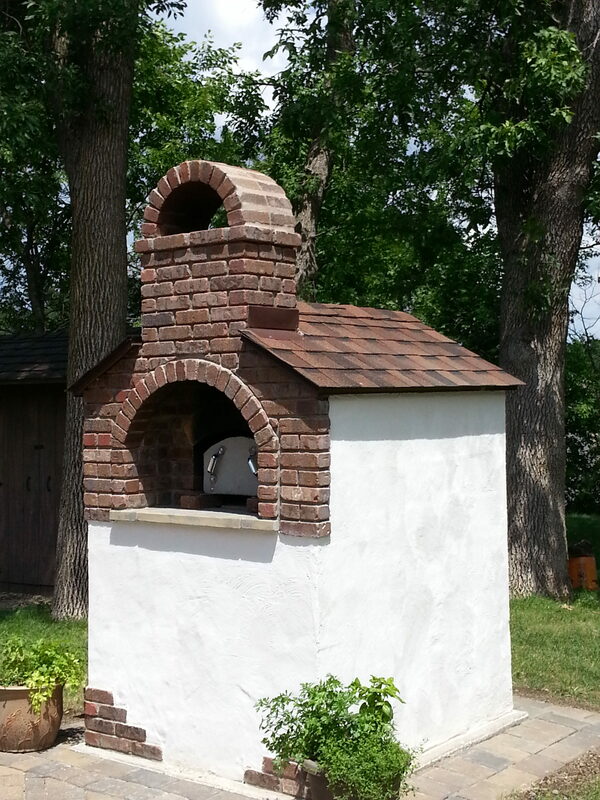 White Bear Lake has completed the construction of a small oven designed for small events i.e. Youth Group pizza night, Small bread baking class, Small retreat using the fellowship hall for their meeting and pizza lunch and bread baking as part of the retreat event. 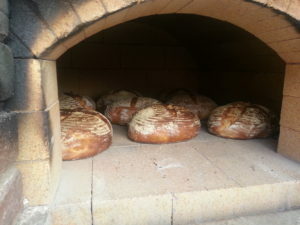 Mike Faust recognized the interest in a smaller oven also lower in cost for backyard enthusiast and also for communities organizations with limited funds. The cost came in at $1,800 for the materials. It can bake two 15″ pizzas at one time and accommodate approx. 10 loaves of bread – depending on their size. 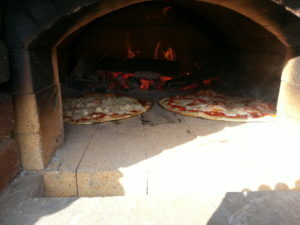 Because of the smaller oven chamber the oven can be ready to bake pizza in approx. 2 1/2 hours after starting the fire. More information will be coming on this oven.